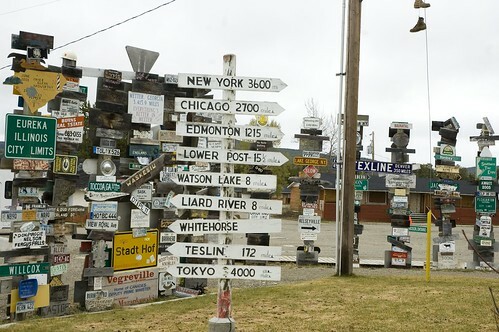 Sign Post Forest is a unique collection of more than 65,000 signs from around the World and is now a famous landmark on the Alaska Highway. 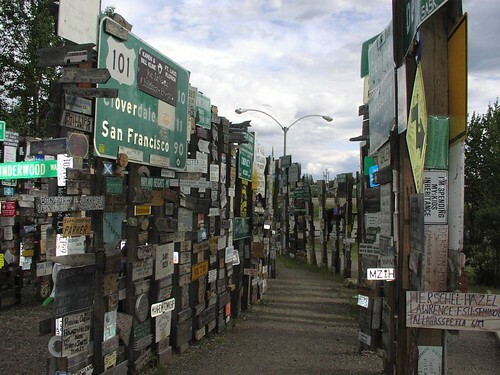 Located in the small town of Watson Lake, the trend was started in 1942 by Private Carl K. Lindley, who was part of the US Army's 341st Engineers assigned for construction of the Highway after the Pearl Harbour attack. The homesick GI placed a sign here pointing to his hometown of Danville, Illinois. Thereafter several other persons/workers added directions to their home towns and soon the area grew. In 1990 the mark of 10,000 was reached. 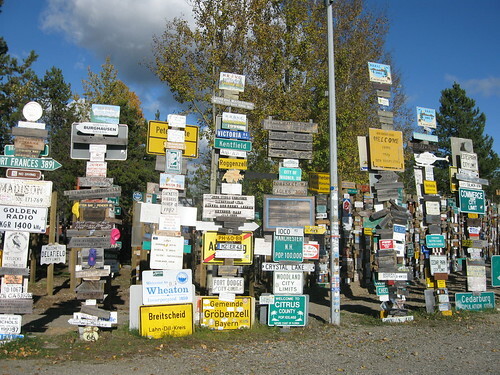 In September 2003 the area had 51,842 signs and as per the last count in September 2008 there were 65,164 signs. It is estimated that each year about 3000-4000 new signs are added to the collection. 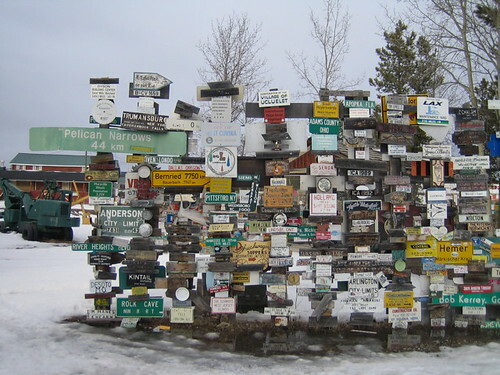 The sign post forest is spread over an area of 180 metres by 60 metres and the collection not only includes the road signs but also "Welcome To..." signs, dinner plates and license plates from around the world. There is even a huge 2x3 metres sign from German autobahn.